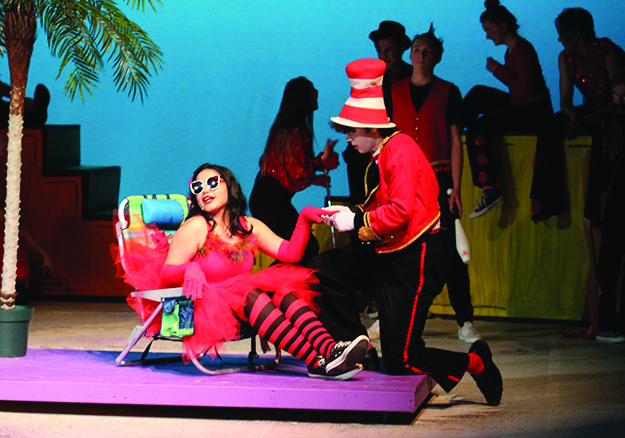 It was a near sold-out show at Arlington High School as the Drama Club prepared for the opening night of Seussical the Musical on March 2. 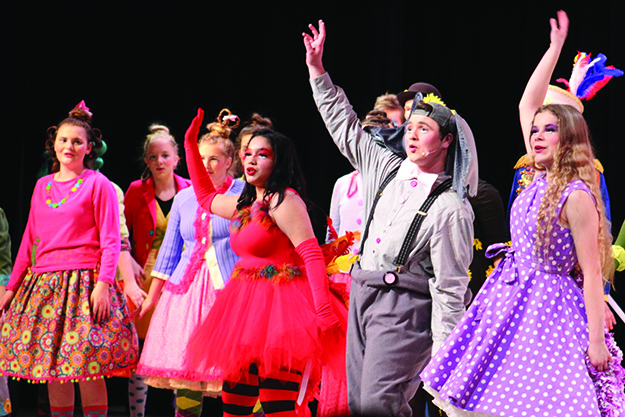 The play’s inspiration draws from the great imagination of Dr. Seuss and features a number of his famous characters, such as the Cat in the Hat, the Grinch and Horton the Elephant. The cast of young high schoolers awed the audience with their amazing talents, belting out a number of tunes accompanied by the school band. 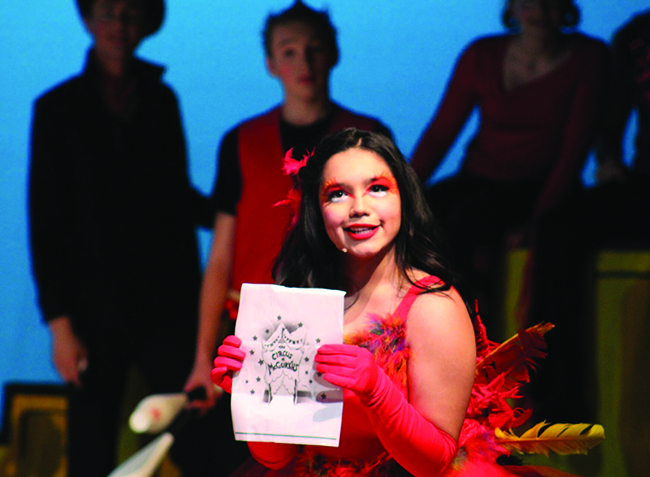 One of the standout performances of the play is Arlington High School sophomore and Tulalip tribal member, Izabella ‘Bella’ Fryberg, who plays a feature role as Mayzie LaBird from the book Horton Hatches an Egg. “I sing at home a lot. I started acting my freshman year but I’ve been singing since fifth grade,” expressed Bella minutes before the start of the show. Bella is no stranger to the spotlight. At the young age of fifteen, she’s been in Tae Kwon Do competitions and ballet recitals, as well as jazz dance performances. In the addition to Seussical the Musical, Bella is preparing to sing in a cabaret this April with her choir who meets every day before school to rehearse. It was during her freshman year that she was cast in the school’s rendition of Guys and Dolls: The Musical and fell in love with the performing arts. 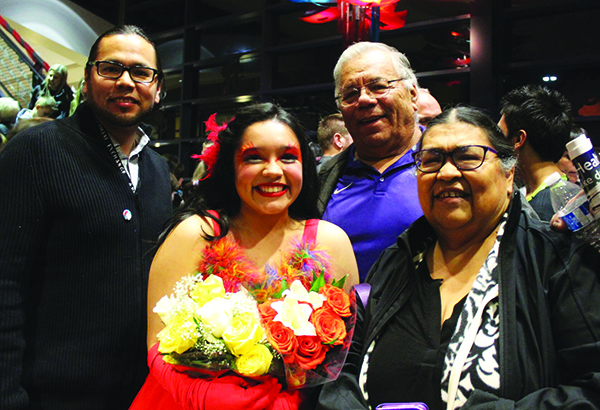 Just before show time, Bella’s father and Tulalip tribal member Georgie Fryberg shared his excitement as the crowd began to take their seats. From the moment the curtains rose, to curtain call, the audience was completely engaged and thoroughly entertained, many surprised by the singing talents of the young students. Bella sang a number of solos, which blew the crowd away, including Amayzing Mayzie, How Lucky You Are, Mayzie in Palm Beach and Amayzing Horton. At the end of the play as she approached the stage to curtsy before the crowd, she was met with enormous applause from the audience. “Wow, she was phenomenal wasn’t she? Such a great voice,” stated Arlington community member and theater lover Sharon Richardson who brought her mother, a huge Dr. Seuss fan, out to the show. opening night performance of Seussical the Musical. You can catch Bella in Suessical the Musical on March 9 and 10 beginning at 7:00 p.m. at the Byrnes Performing Arts Center, located at Arlington High School. There will also be a special matinee performance on March 10 starting at 2:00 p.m. Tickets can be purchased at the door or online at www.ByrnesPerformingArts.org. This entry was posted in Arts & Entertainment, News, Top Story, Tulalip News and tagged Bella Fryberg, Seussical the Musical, Tulalip Tribes by Kim Kalliber. Bookmark the permalink.